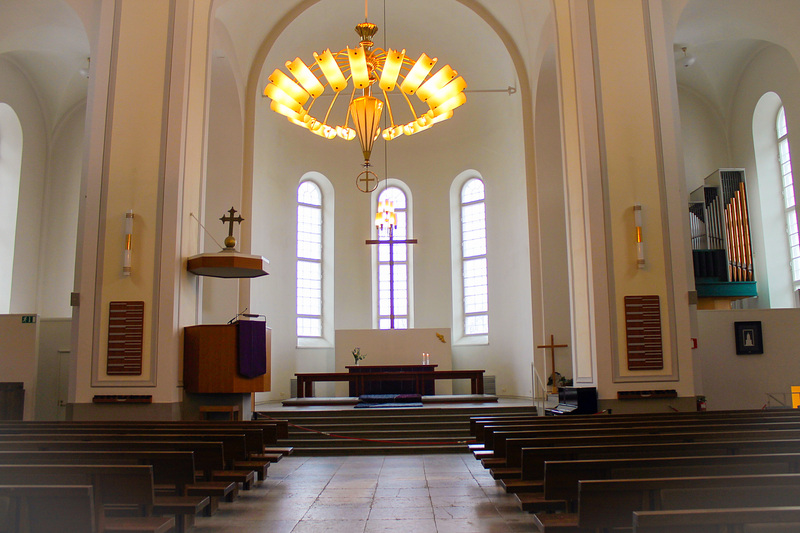 We had spent 3 days in Helsinki visiting the churches, market places, shopping centres, cathedrals etc. On our final day of our trip, we decided to go a bit further. 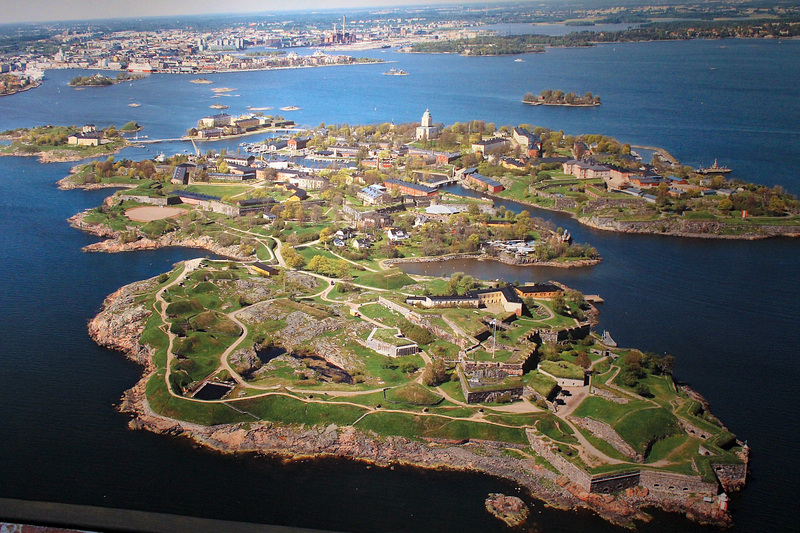 One of the interesting places in the travel brochures we saw was the island Suomenlinna. Some of my colleagues who travelled by Stockholm – Helsinki cruises before mentioned seeing the island and recommended it as well. Suomenlinna is an inhabited island off the coast of Helsinki. It is easily accessible from the mainland via ferry. The ticket costs about 5 euros per person (Link). We checked out of our accommodation in the morning. We left our luggage in the locker rooms in the Helsinki railway station. The cost for the large lockers was about 6 euros (Link). From the railway station, we took the tram to the Market square. The ferries to Suomenlinna depart about 4 times in an hour during the weekdays and twice per hour during the weekends (Schedule). We took the ferry at about 10 AM. The trip took about 20 minutes. As it was late March, it was still cold – single digit temperatures. The sea was frozen in some areas. Added to our misery was it started raining as soon as we took the ferry. 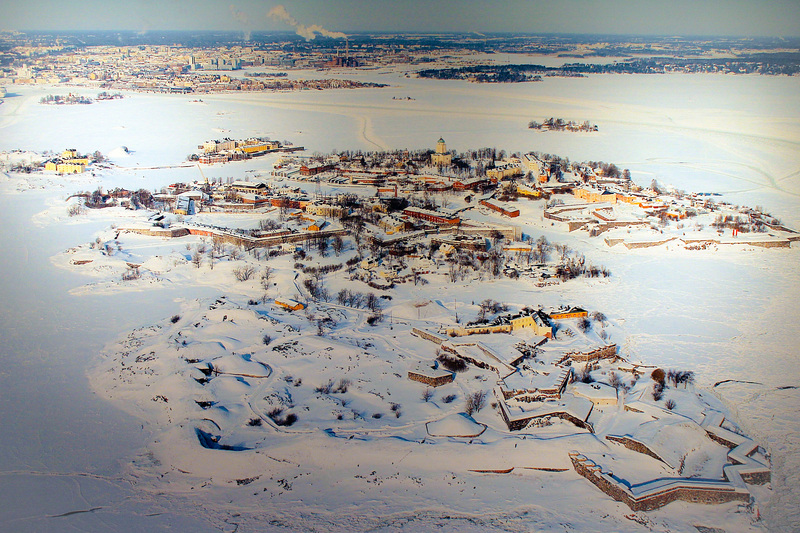 After reaching Suomenlinna, we first went to the information centre for the maps and brochures. The maps have a very detailed information about the places to see. There is one main path running right from the main quay in the north till the King’s Gate in the south of the island (Map). 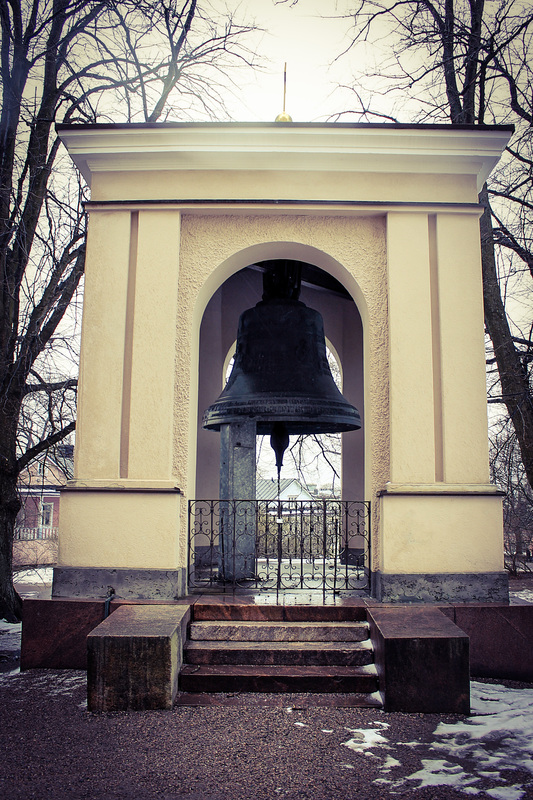 Our first stop was Suomenlinna church – right behind the tourist information centre. It was a quaint old church. After a brief stop to protect ourselves from the wind and cold, we started walking again. Slowly, the weather was getting worse with cold rain as well. We quickly entered into a warm cafe right on the edge of the first island. There was a souvenir shop inside the cafe. The weather was getting worse, but having come this far we decided to continue on the main path. 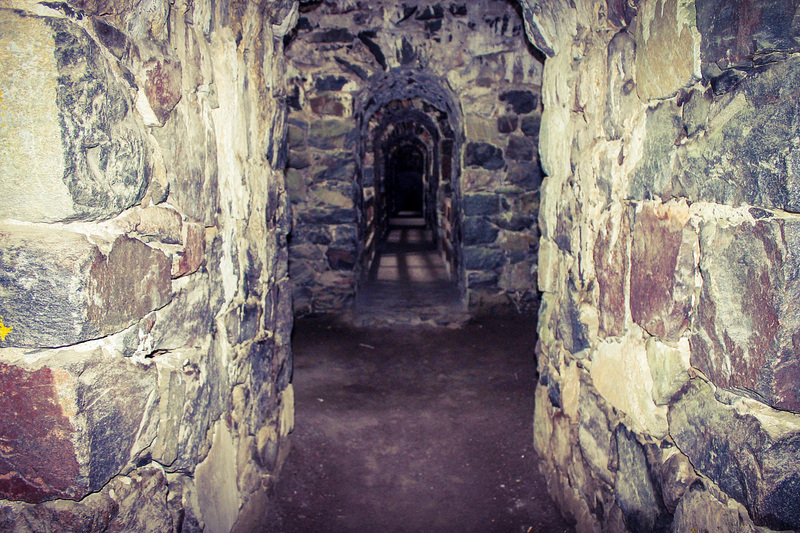 After crossing over to the other island, one of the coolest places on the island is a series of underground tunnels. We took a few clicks, the rain relented and we continued on our path. After about 15 minutes, we reached the sandbanks right on the edge of the sea. These would have been the perfect places for a picnic or a BBQ during the summer, but certainly not the day we visited. Our final stop was the King’s gate which led right out to the sea. 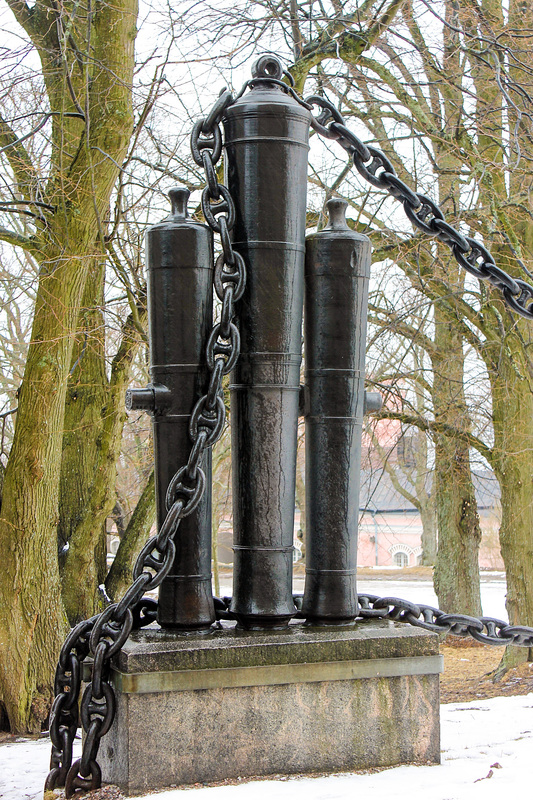 There were still some cannons left from the days the island was a fortress. The view from the top of the sandbanks was breathtaking, miles and miles of sea and we were right on top. After a brief stop, we traced our path back to the quay – rather ran back as the ferry was soon departing. 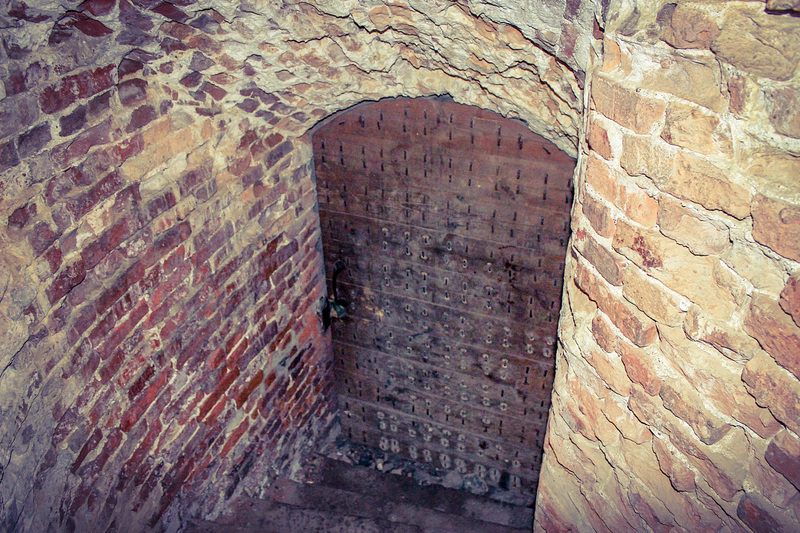 Overall, not one of the most pleasant trips, but we vowed to be back to Suomenlinna the next time we visit Helsinki. The complete trip from north to south will take approx. 2 – 3 hours one way. 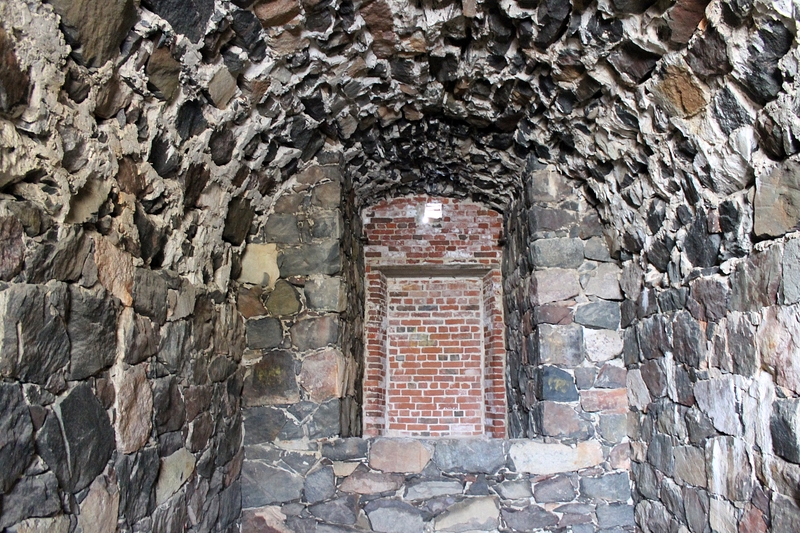 The best time to visit Suomenlinna is certainly not March, preferably June – August.